One of the most common places to find Asbestos on your property is in and around your garage and especially the roof, T&S Environmental are experts in Asbestos Garage Roof Removal, so contact us today to discuss your requirements. T&S Environmental have the resources and expertise to remove these for the general public at a low cost and in a professional manner in strict accordance with all the relevant legislation that our licenses and accreditation demand. If you suspect that you have a Asbestos Garage Roof in need of removal, please do not carry out any works yourself or attempt to verify its composition. Simply call T&S Environmental on 01375 398768 or send us a message via the contact form below. Having removed hundreds of Asbestos Garage Roofs in London, Essex and the South East over the past 12 years, T&S Environmental offer a efficient & cost effective solution to this particular problem. Our fully insured, licensed, accredited and experienced workmen can often have the job completed in less than a day, leaving you with peace of mind and all the relevant paperwork to prove you have acted in full compliance with all domestic Asbestos removal legislation by choosing T&S Environmental for the job. As Asbestos is classified as an extremely hazardous substance you need to be sure the contactor you employ holds all of the correct licenses and accreditation required to complete the removal and disposal of Asbestos. T&S Environmental are proud to hold all of these and they can all be viewed here. 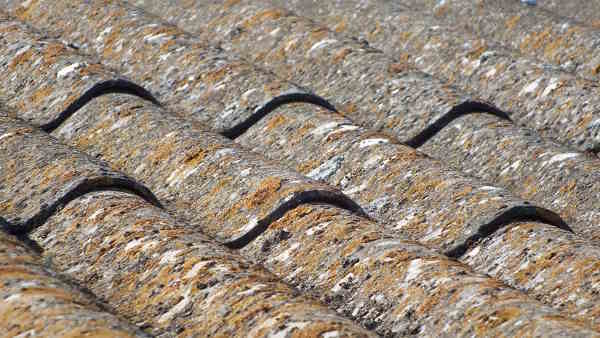 For more information and to arrange a site survey to obtain a free no obligation quote for your Asbestos Garage Roof Removal please contact us today on 01375 398768 if during office hours, if viewing this outside of office hours pelase submit a contact form and we will contact you on the next working day. Our size and expertise also mean that we can complete the works at some of the lowest prices in the industry, making T&S Environemental the natural choice for all your Domestic Asbestos Removal and Disposal needs. Simply contact us today to discuss your requirements and book in your initial site survey.